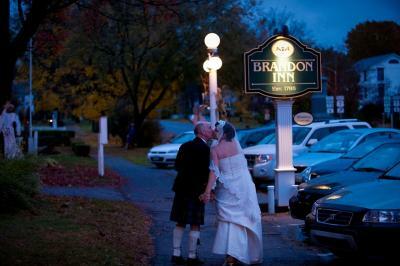 Lock in a great price for The Brandon Inn – rated 8.4 by recent guests! Very comfortable bed, nice rooms, friendly receptionist and a cool historic place to stay in Brandon. Very good breakfast, love the fireplace to just sit down, drink coffee and relax. The property is an historic Inn, and has some functional issues [e.g. 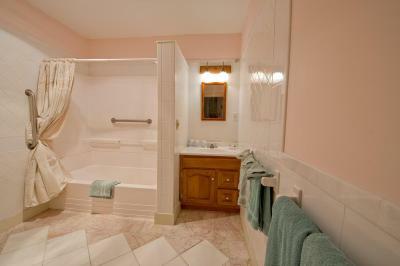 small bathrooms, uneven floors) which really don't detract from the ambiance. We found the room very comfortable and slept well. The maple pumpkin bread pudding is worth the stay. 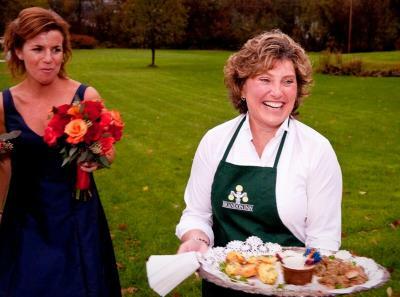 Great staff & owners. 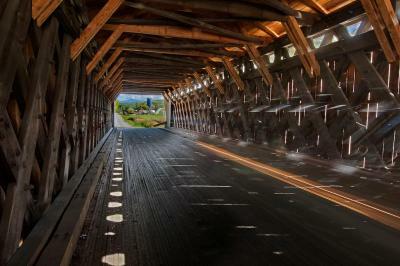 Very convenient location for walking around Brandon, or driving around central Vermont. Also, we went during the off season (i.e. 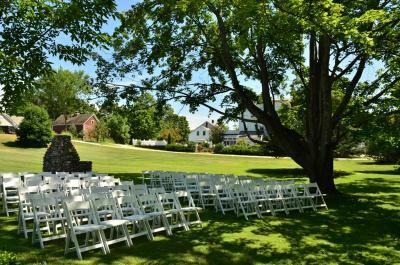 not during the fall foliage or ski seasons) and just about had the whole place to ourselves. It's a big inn, but can feel like a B&B when there are very few guests. Location was great! Easy walk to fine dining and shops. Central to the places we needed to travel to for errands and visiting with family and friends. Daily made to order breakfast and one breakfast buffet were fantastic and increased the value of the stay. 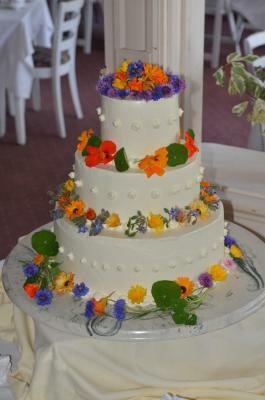 Can't say enough nice things about the friendliness and care shown by Lenore and Nick! 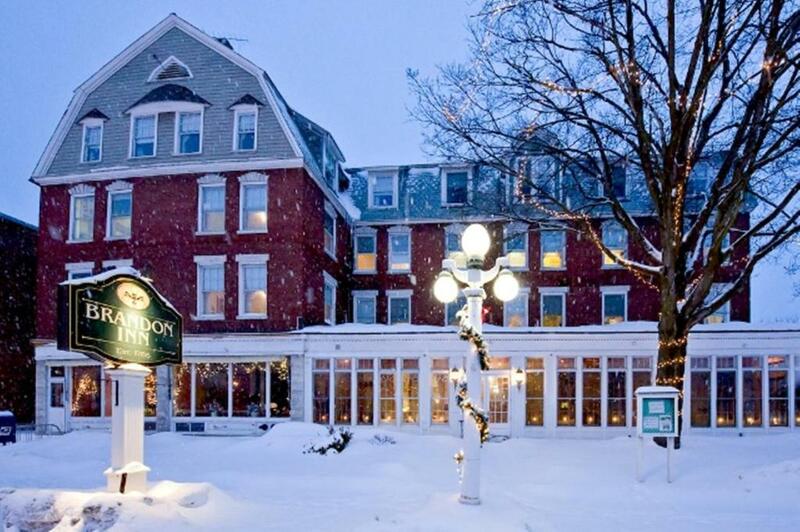 This is a beautiful historic registry inn and it’s right in the center of town! Couldn’t have been better!! 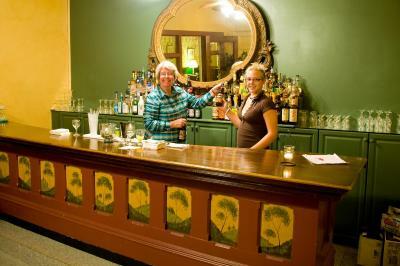 Wonderful Inn, wonderful OWNERS!! Staff was friendly and informative. Inn is authentic and inviting. They we’re welcoming of my dog and went out of their way to accommodate us with her. We absolutely Love it! From the decor to cleanliness to comfortable bed. The owner Sarah says "its a labor of love" and it is reflected everywhere ... Breakfast was delicious - a good variety. You must taste the homemade yogurt!! Beautiful place and in great location. The staff was friendly. 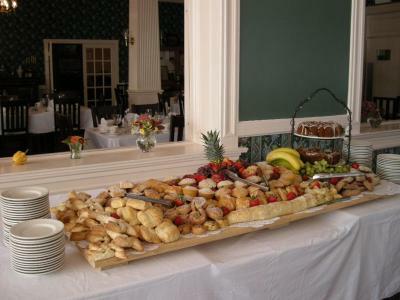 The free breakfast buffet had an excellent selection of food and everything was good quality and well prepared. 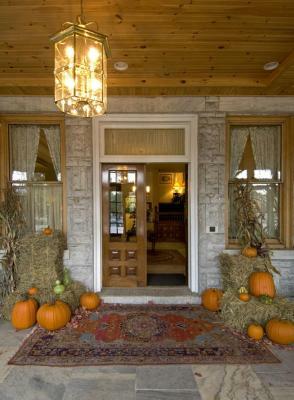 The hotel itself is charming, with antiques and lots of character. Our room had a fully upgraded bathroom with a jacuzzi tub and a sitting room. 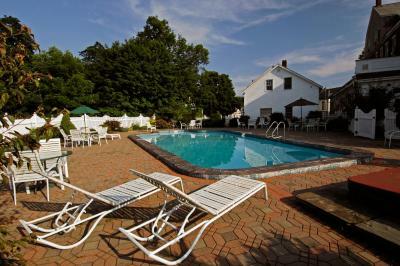 The pool was very clean and surrounded by a great variety of blooming flowers and other plantings. 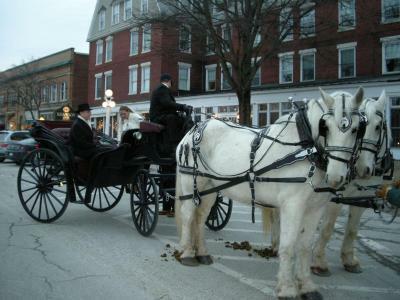 The hotel is in a great location for walking around the historic town. 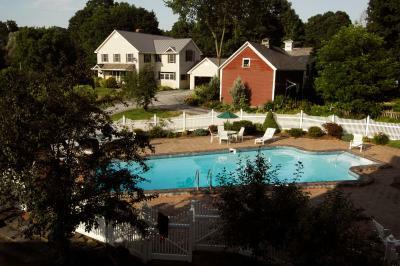 The Brandon Inn This rating is a reflection of how the property compares to the industry standard when it comes to price, facilities and services available. It's based on a self-evaluation by the property. Use this rating to help choose your stay! 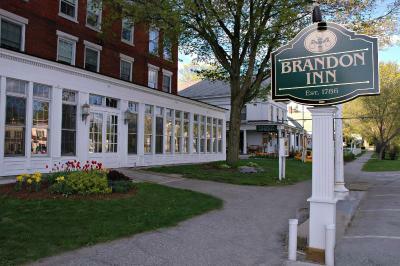 The historic Brandon Inn in the center of the Vermont Village of Brandon features a full hot breakfast and free Wi-Fi in all the rooms. 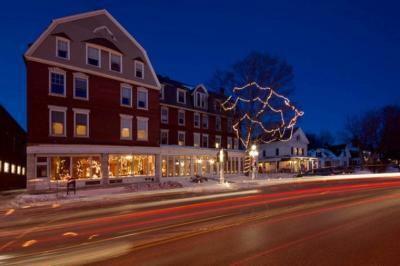 Middlebury College is 18 miles away and the Pico/Killington Ski Area is 28 miles away. 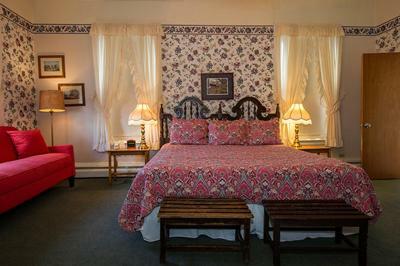 A work desk and sitting area are found in the individually decorated rooms at The Brandon Vermont Inn. Rooms are also equipped with a full bathroom and hairdryer. 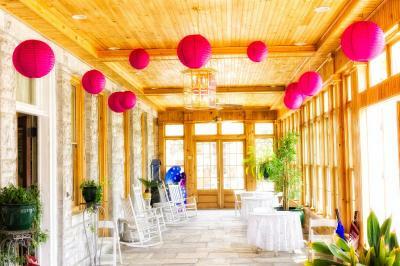 Common areas and the dining rooms are found on the ground floor of The Brandon Inn. Meeting facilities are also available. A country breakfast is served daily and features homemade baked goods as well as hot and cold items. Self-serve coffee is available in the Sun Room prior to breakfast. 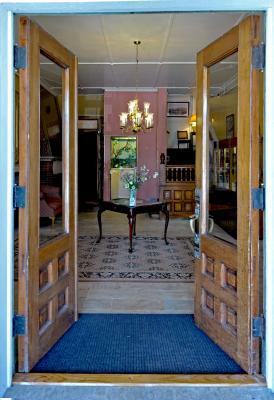 The privately run shops and restaurants of downtown Brandon are within a 5 minute walk of the inn. 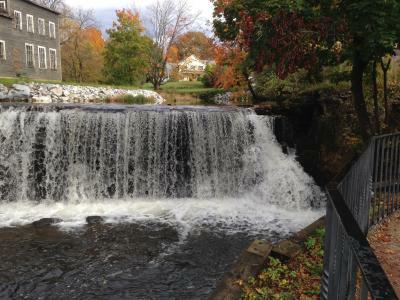 The Moosalamoo National Recreation Area, an area popular for outdoor recreation, is just a 10 minute drive away. 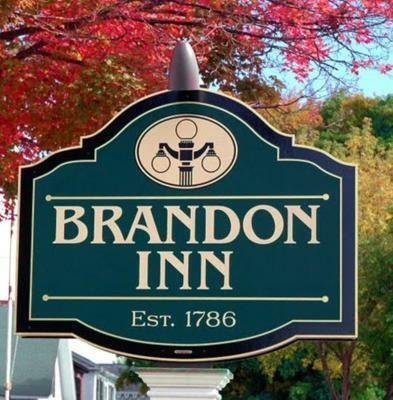 When would you like to stay at The Brandon Inn? Room features a seating area and a full bathroom. This suite features two bedrooms, a seating area, and a work desk. This room features a sitting area and a full bathroom. 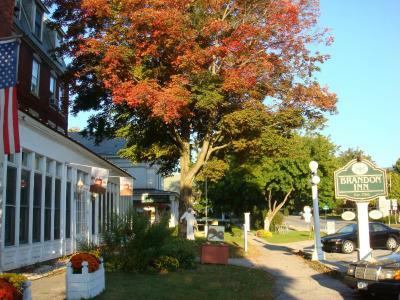 The Brandon Inn has quite a history, marked by over 20 different owners over the past 200 plus year. opened by Jacob Simonds in 1786. 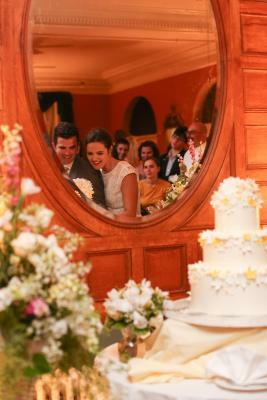 Sarah & Louis Pattis bought the Inn in February 1988. Come join us and make a little history of your own! House Rules The Brandon Inn takes special requests – add in the next step! The Brandon Inn accepts these cards and reserves the right to temporarily hold an amount prior to arrival. The room was dirty there were hair all over the place. On tables in bathroom. On bed spread. Soap in the drain from last guess. The hoteliers running this place are the reason to stay here, and you should definitely stay here. The hotel is old and spacious, the breakfast was *fabulous*, bed was comfortable. Owner was a character that will make it a stay to remember - honestly wish we were staying in town longer just so we could have invited him out for a beer. Call up and book over the phone if possible, they were just awesome. I don't care for the small toilet and recommend it be changed out for one with an elongated bowl. Comfortable bed. A nice place. There were no amenities when we arrived about 10:00 PM -food or drink and front desk seemed annoyed at our arrival time. ( We were at local college for drop off) Construction was everywhere and no street parking. No coffee before 7 AM? The rooms were large, comfortable and clean. Bathroom was huge! There's nothing the inn can do about this but there's a lot of road construction going on in Brandon right now, which can make it tricky driving in or out. Until that's complete, you might want to ask for rooms that overlook the garden in the back, versus the front side where the road work is occurring. Mattress was okay, but sure missed my memory foam. Also, need to have a few feather or down alternative pillows availabe for those people who don't like foam. 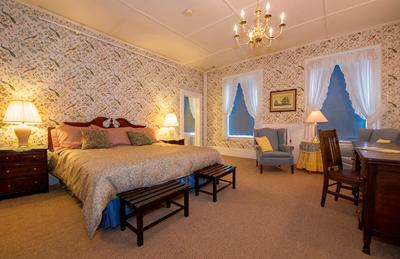 Otherwise, the room was spacious and quite lovely for a 200+ year old inn!